Amongst others, India’s candidature for Nuclear Suppliers Group (NSG) was discussed in the recently concluded two-day (14-15 June 2018) meeting in Latvia, but without any specific mention of Pakistan’s membership. In its statement, the NSG said that discussions were continuing on the issue of "technical, legal and political aspects of the participation of non-NPT states in the NSG" initiated at the 2016 Seoul Plenary . The cartel also "continued to consider all aspects of the implementation of the 2008 Statement on Civil Nuclear Cooperation with India." Meanwhile, Latvia which has assumed chairmanship of the NSG for 2018-2019 has backed India’s entry into the group . More recently the U.S. Ambassador to United Nations Nikki Haley, who was on a three-day visit to India late last month, has said that "India, a nuclear state, is respected widely because it is a responsible democracy. The US also supports India’s membership in Nuclear Suppliers Group." By now, the majority of the members are in favor of accepting India in the group. What needed mostly now is an open debate to arrive on clear criteria for participation of a new member. How soon this would take place is a matter of speculation but preventing India from joining the group is tantamount to keeping a deserving candidate away for one's benefit. Two years ago, (May 2016), New Delhi had formally applied for membership of the NSG. In a forwarding letter to the NSG chair, India’s the then Foreign Secretary S. Jaishankar wrote: "The decision to seek participation in the NSG reflects India’s strong support for international efforts to prevent the proliferation of nuclear weapons. India recognizes the important contributions to this objective made by the NSG. India’s participation in the NSG would strengthen international efforts to prevent the proliferation of nuclear weapons." Despite India’s legal-institutional compliance and constant diplomatic endeavor, a few countries along with China have reservations on its entry. India’s nuclear technology related capability is ascending along with its capacity to cater to global demand. India’s domestic educational institutions – the Homi Bhabha National Institute (HBNI) and its ten constituent institutions, and other twenty-plus universities/institutions – imparting nuclear-related courses can cater not only to the domestic but to the global demand of skilled human resource. Recently, India has signed an agreement with Bangladesh for civil nuclear cooperation, under which India has extended expertise and project support for Bangladesh’s first nuclear power plant. India’s Hindustan Construction Company Ltd. (HCC), in a joint venture with Bangladesh’s MAX Group, has been awarded USD 110 million (Rs.737 crore) contract by Russia’s JSC Atomstroyexport for civil works of Turbine Island for Unit 1 of Rooppur Nuclear Power Plant . After getting NSG membership, India can participate in the nuclear energy programmes of the neighboring countries like Bangladesh, Sri Lanka, Myanmar, etc. directly. In the long-term, India envisages effective participation in the global nuclear commerce by supplying reactor technology, plant construction, maintenance, and services if India gets the NSG membership. Today India supplies only Heavy Water to a number of countries including USA, Canada, South Korea. It has also supplied the Bhabhatronics (radiotherapy machine) to Sri Lanka. India expects to export its 220 MWe PHWR and its 700 MW scaled up version that would be ideally suited for the Southeast Asian countries’ smaller electricity grids. Though India’s nuclear-related export basket at present is limited, its future prospects are enormous. Indian companies can now export nuclear reactor design and building skills, operation and maintenance services, etc. There is the plan for privatization of nuclear energy sector in a smooth and phased manner as well. Under the current expansion scheme, around two dozen industrial houses, both domestic and international, are involved through collaboration and share-holding. Domestic private industrial houses like Larson & Toubro (L&T), Tata, Reliance, Punj Lloyd, etc. and multinational houses like Westinghouse, Areva, GE, Sandpit, are some of the front-runners. The Global Centre for Nuclear Energy Partnership (GCNEP) established as India’s response and contribution to the Nuclear Security Summit (NSS) with a vision to promote "safe, secure and sustainable nuclear energy for the service of mankind through global partnership". 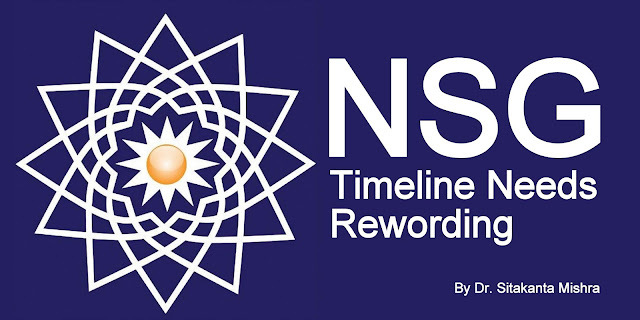 Despite India’s responsible behavior, clean non-proliferation record, and compliance with multilateral agencies, the emergence, and functioning of NSG is still negatively referred to India’s nuclear timeline. The long prevailed myth is that the NSG was created in response to India’s 1974 nuclear test. Those who are not in favor of letting India in, question the rationality of accepting a country in the cartel that was created in response to its misconduct. This narrative is debunked today with the new archival research on the timeline of the NSG. One archival document suggests that "the origin of the suppliers’ Group goes back to 1959 when Canada took the initiative in calling together what was known as the "Ottawa" Group of countries (U.K., USA, South Africa, Australia, and Canada). … Since 1959, the "Ottawa" Group has been renamed the "Suppliers’ Group" or Nuclear Suppliers Group" . In a tweet, Ambassador Amandeep Singh Gill says: "A point I have often made; plenty of archival material now to debunk the view that the NSG was formed at a particular time and in response to a particular development." Therefore, the assertion in NSG official website that "NSG was created following the explosion in 1974 of a nuclear device by a non-nuclear-weapon State, which demonstrated that nuclear technology transferred for peaceful purposes could be misused" needs prompt rewording. Undoubtedly, "issues such as the emerging consensus on nuclear safeguards, export controls and the institutions such as the NSG have received maximum attention in the literature" during the decades from the Ottawa initiative to India’s PNE in 1974 and beyond; but not solely owing to India’s actions. Rather, India’s impeccable non-proliferation record earned it the status of a "responsible country with advanced nuclear technology". Today, while a majority of NSG members believe that India should be included in the group, there are a few who fretful that this would legitimize New Delhi’s nuclear weapons. It would not be difficult to satisfy their apprehensions, but it is the ‘political’ stand of China – and at the behest of Pakistan – that stands in the way. The irony, however, is that such objections to India’s NSG membership are being advanced by countries whose own non-proliferation track records are tainted. India needs to dispel and expose such double standards even as it simultaneously strives to enter other export control regimes. Despite not being a member of some conventions, India has complied with all multilateral conventions while upgrading its own domestic laws to global standards. Instead of overlooking its credentials, India’s case can be used as a model: how it has restrained itself and stuck to the guidelines of a non-proliferation regime despite not being its member. India’s membership of the cartel would be in everyone’s interest. Thus, the pertinent question to ponder is: will the interest of NSG be best served by taking or not taking India onboard? Dr. Sitakanta Mishra is a Faculty of International Relations, School of Liberal Studies (SLS), Pandit Deendayal Petroleum University (PDPU), Gujarat, India. “No headway in India’s push for NSG entry”, https://indianexpress.com/article/india/no-headway-in-indias-push-for-nsg-entry-5220729/, June 17, 2018. “India, North Korea, and Iran Deal discussed at NSG meet held in Latvia”, http://www.wionews.com/india-news/india-north-korea-and-iran-deal-discussed-at-nsg-meet-held-in-latvia--144794, Jun 16, 2018. China is opposing India’s membership tooth and nail. Brazil, Austria, and Switzerland wanted the criteria for the ascension of non-NPT countries to be discussed first along with the case on India’s candidature. Ireland, Argentina, South Africa and New Zealand wanted the specific criteria for addition of non-NPT to be laid down first and they want to discuss the candidatures of non-NPT states. Countries like Turkey, Belarus, and Kazakhstan support both India and Pakistan for their membership. Rest of the countries viz. Australia, Belgium, Bulgaria, Canada, Croatia, Cyprus, Czech Republic, Denmark, Estonia, Finland, France, Germany, Greece, Hungary, Iceland, Italy, Japan, Latvia, Lithuania, Luxemburg, Malta, Netherlands, Norway, Poland, Portugal, Romania, Russia, Serbia, Slovakia, Slovenia, South Korea, Spain, Sweden, Ukraine, UK and US are either supporting or not have not raised any objections yet. Out of these countries, US, UK, Russia, Japan, Germany, and Australia are vocal supporters of India’s bid. Yogesh Joshi, “Between Principles and Pragmatism: India and the Nuclear Non-Proliferation Regime in the Post-PNE Era, 1974–1980”, The International History Review, 2018, https://doi.org/10.1080/07075332.2017.1417322, p. 1.